Sonepur, Dec. 19: The 17th state youth festival ended on the Fakir Pattnaik stage here last evening with artistes from different parts of Odisha and the audience dancing to the foot-tapping tunes of folk dances. However, what stole the show of the closing evening was the latest song Kolaveri Di. The artistes and the audience danced to the beat of the song that has become a craze among the youths of the entire nation. This apart, artistes from Bargarh fused the two forms of Sambalpuri styles, namely Rasarkeli and Mailajada. The theme became patriotic when little students of Sahara Trust High School of Sonepur rendered “Jis Desh Mein Ganga Behti Hai” from Raj Kapoor’s movie of the same name. On the second day of the festival on Saturday, some 1,200 artistes from all the 30 districts of Odisha took part in various competitions in music, dance, drama and elocution. 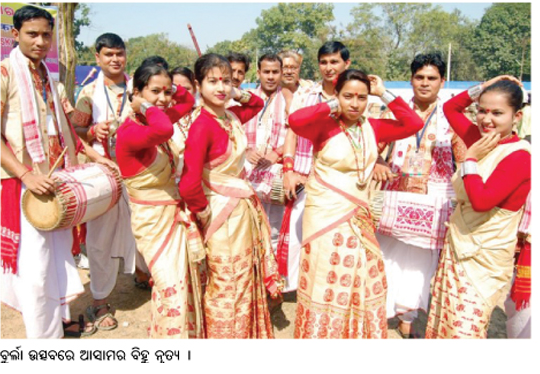 Artistes from Kalahandi performed Bajasal, a Sambalpuri form that won them the first prize in the folk dance category. This ensures that they will participate in the National Youth Festival scheduled to be organised early next year in Bangalore. In the folk dance category, artistes from Boudh performed Sabar-Sabaruni dance, a chapter of the popular Danda Nrutya, which enthralled the audience. 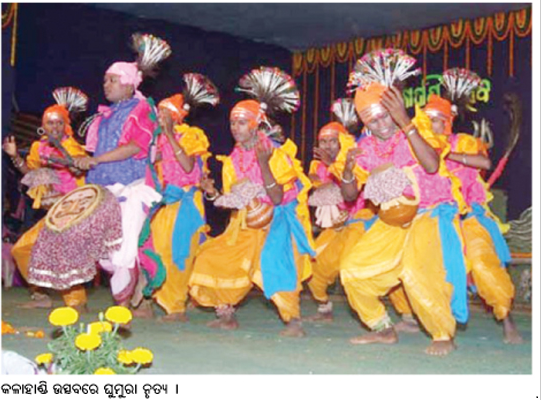 Folk dances from Khurda, Nayagarh and Jharsuguda also won the hearts of the audience. In classical dance, Sweta Nayak of Jajpur emerged a top contestant as she won the first prize in Bharatnatyam. She also came second in Odissi dance. In the drama category, Bhadrak mesmerised the audience and won the first prize, while host Sonepur’s presentation of Silpi by Pradyumna Sahu won them the third prize. Sampat Meher of Balangir won the first prize in flute recital. VSS Stadium while others will be spread out across the town.The function will be inaugurated by Sports and Youth Affairs Minister Prabin Chandra Bhanj Deo while Health and Family Welfare Minister Prasanna Acharya will attend the closing ceremony. The participants will take out a cultural rally in the town before culminating at VSS Stadium. A budget of Rs 11 lakh has been prepared of which the district administration had already received a government grant of Rs 5 lakh. The district administration is gearing up to organise a State-level youth festival at the VSS Stadium from December 15. “It will continue for three days and 900 youths from all over the State will take part in this festival,” informed District Collector Pradipta Kumar Patnaik, in a Press conference here on Friday. Various types of cultural events will find place in this festival. On the performance, a good number of youths would be selected from here to take part in the national youth festival to be held at Bhubaneswar, Patnaik said. Twenty-eight judges from Odisha Sangeet Natak Academy will evaluate the performances of the youths. The Collector and other staff sought the cooperation of all people for the success of this festival since it prestige of the State as well as the district.